That probably is your issue due to the sub. I don't think this applies to me because in this thread everyone is using the stock headunit. I am using my aftermarket Pioneer head unit. First, thank you for one of the most detailed and useful posts asking for help that i've seen in 20 years. Amazing attention to all of the details we would be looking for. The noise starts when the amp is turned on and gets worse as the vehicle is running. It is not because of how your RCA's are ran. It could be that the RCA's lack a ground connection internally. It could be the notorious Pioneer signal ground problem (a Pioneer issue that is solved by wrapping bare wire around the RCA jacks shields at the head unit). It could be in the amplifier itself. Bummer news, but some amps have internal failures and you'll get noise like this. It could also be a combination of these things. 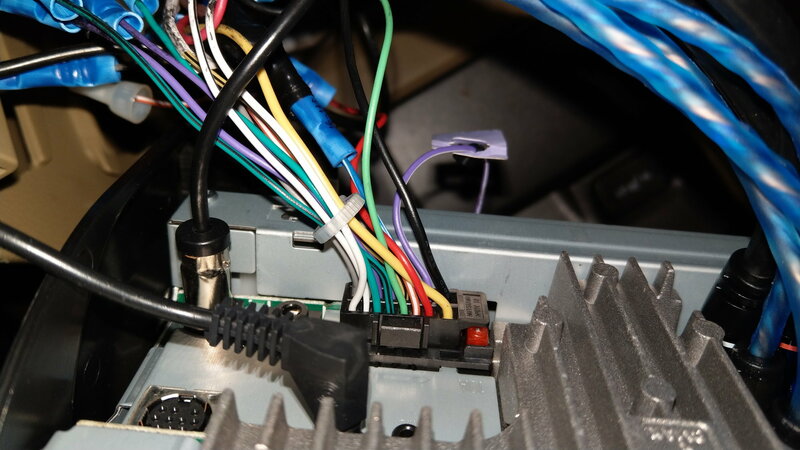 Bad RCA grounding in the wires or the HU causing the crazy noise when the car is on and improper gain settings on the amp causing the hissing when the car is off. I would start with addressing the Pioneer shield ground issue. This google image search has many examples and the associated threads of people with the same issue and how they fixed it. Next, take some photos of the amp settings, it is hard to see in the photos you have. You want the lowest gain settings you can tolerate. You are welcome. I uploaded all pictures with everything that I bought and put in the car wires/radio/amp/sub/box/speakers but it turned out to be too many pics, only 20 are allowed so I had to narrow it down to the most important ones. I would like to give more if I could. Thank you for your reply and feedback. Those are the only differences between the 2 builds. In my old car I didn't do the wiring, the car came with it when I bought it. I had to wire the radio, put the speakers/box/sub/amp/run RCA cables. I used to have same issue in my old car but it was due to a bad ground because my friend that was helping me, connected the ground cable to the amp with less wire and when he screw the bolt he caught the silicon. I revised it after I heard the issue. Fixed it and problem solved. Here is different for some reason. Why am I saying all this is to point out the fact that I am first owner of those parts and the fact that they worked properly before, so that way we can take out the faulty parts out of the way. No damage occurred to any of them. Let me know if I am on the right path and only then I will start trying different options with taking records of so I can post back here to help others. P.S. I did turn the gain all the way down on the amp when I made the videos. I also removed the wires for the front speakers(not RCA - actual wire) from the amp and the noise stopped. There was just very little noise from the rear speakers but the major is from the front. I also took the actual cables from rear speakers and plugged them in the front speaker amp output - no issue. After I plugged in the wires for front speakers into rear speaker output of amp - same issue, high noise. In a nutshell - where ever I connect the front speaker wire to the amp sound starts - when they are not plugged in - no sound. When I leave rear speakers + subs connected - everything is normal. Last edited by dohcvtec; 06-04-2018 at 03:23 PM. The correlation with front speaker connections is a useful clue. Please confirm that factory speaker wires are not being used in any way. Some Accords have a factory amplifier that you need to bypass. Since it is unlikely that you used factory wiring for the rear speakers, it may explain why the rear speakers are fine but the front are not. You also connected the speaker wires from the head unit to the factory harness, yet you are using an aftermarket amp. you don't want the speaker outputs from the head unit connected to anything, they should be separately insulated/capped/taped. 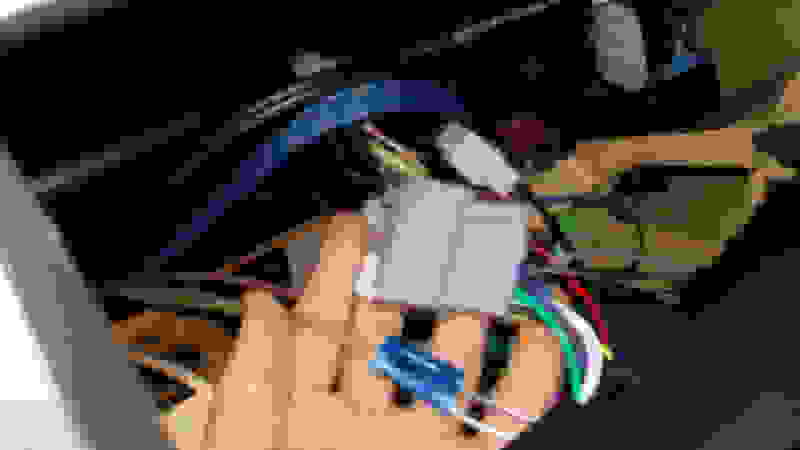 The noise problem common to Pioneer head units is something that occurs when an internal diode fails; this is why it could be an issue now but not before. Given the new information on front only problems, the HU may be ok. You can also swap front/rear RCAs to see if the sound moves to the rear, if not, then it's in the speaker wiring most likely. Last edited by keep_hope_alive; 06-05-2018 at 01:31 PM. Front speakers - I did not pass direct wire from front speakers to aftermarket amp. I connected cables directly from radio harness to aftermarket amp. I didn't touch the factory harness - I connected the cables to the bypass harness (not sure if it makes a difference but I never mess with the factory harnesses). 4. I tried swapping front/rear RCAs - noise stays in front. then it's in the speaker wiring most likely - what should I do to fix the wire problem? 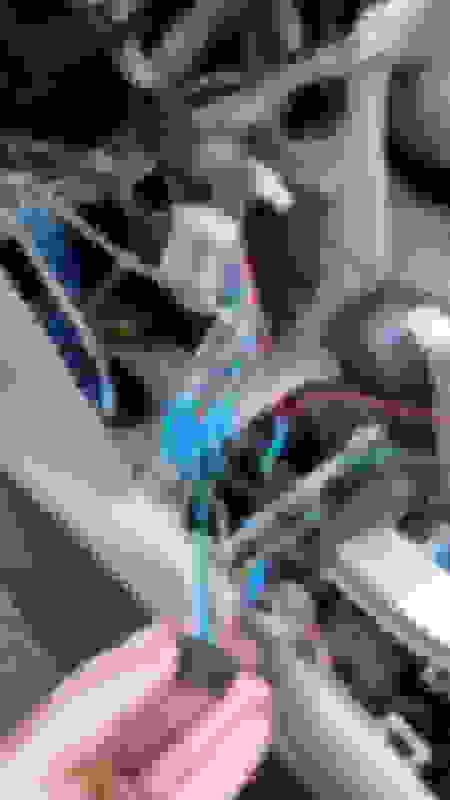 your picture shows three pairs of RCAs into the amp. 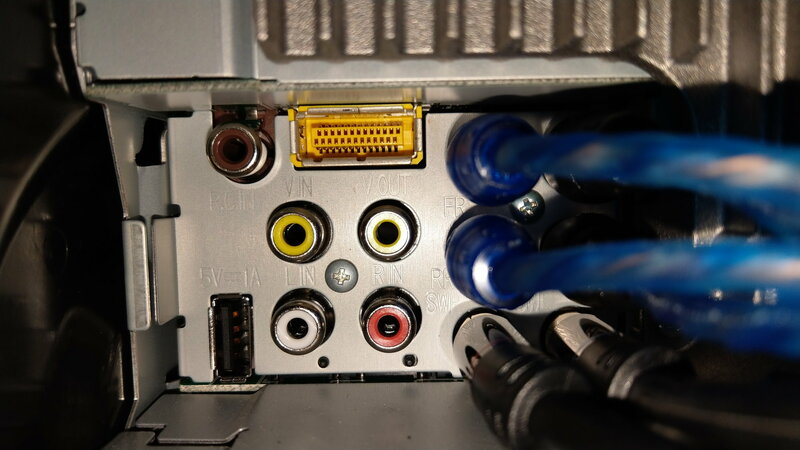 I assume those are front/rear/sub RCA outputs from the head unit. These RCA cables feed the signal into the amplifier. The speaker outputs on the head unit are not to be used. I suspect you have paralleled the aftermarket amplifier speaker output and the head unit speaker output which is why there is a problem. 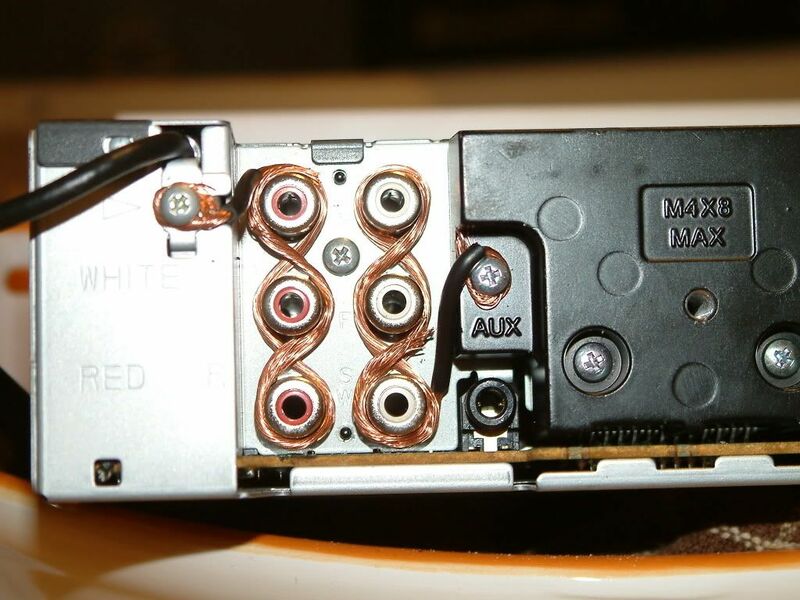 in this picture, the aftermarket amp speaker wires are not connected to the harness, just the head unit speaker outputs. where did you land the amplifier output wires and what did you do with the head unit wires? this is how I did them. if needed, let me know what picture and I will go and take it to provide whatever is needed for fixing the issue. on the last picture here you can see how the blue wires went lose and went out - not a good connection. - could this be the problem for all this? because this is very wierd. no idea why it's happening. I think you need to cut the 8 speaker wire outputs from the head unit (tape them up separately). Those 8 wires shouldn't be connected to anything, and I suspect you have your head unit output and the aftermarket amplifier output both connected to the front speakers; which will cause your issue. The front speakers should be directly wired to the aftermarket amp with no other connections to other wires made. 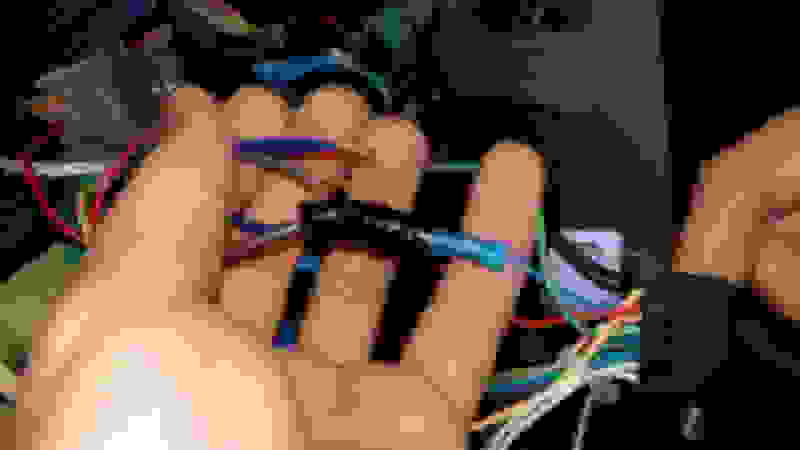 Loose connections are always a concern, you shouldn't be able to pull any connection apart with light-to-moderate effort. Those crimp connectors aren't the best option, even though they are popular. I have a YouTube video describing wiring connections. A photo of where the speaker wires from the amp connect to the wires in the car would be helpful.